BlueCross BlueShield will donate $1.5 Million for graduate-level nursing scholarship program through the South Carolina Nurses Foundation, Inc., so that at least 30 nurses will become teachers. South Carolina is experiencing a shortage of nurses because many teachers are retiring and the state is not able to meet the demand of potential nurses. In 2007, the state experienced 44 nursing faculty vacancies and 72 nursing teachers are expected to retire within the next five years. 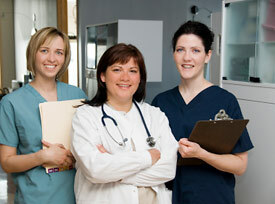 Colleges and universities must limit teacher-to-student ratio of nurses from eight to 10. Teachers are required to hold graduate degrees: master’s degree for associate programs and doctoral degree for baccalaureate and graduate programs. The scholarship is available to both in-state and out-of-state potential nursing students or students who have already been accepted at South Carolina universities. Recipients would be required to sign a contract, committing themselves to teach in nursing programs within the state for at least three years. The state of South Carolina has 24 undergraduate registered nursing programs, three master’s programs and two doctoral programs.